Why I set privacy option for sending message to Community but non-friend users still can't send me message? There is another setting you have to adjust before anyone can send you messages. 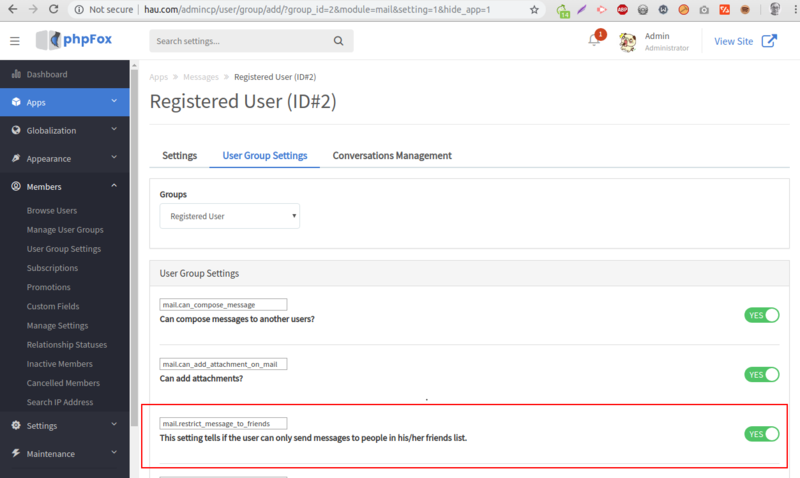 Please go to AdminCP >> Members >> User Group Settings >> Choose Module as Messages and the User group you want to adjust. Turn on/off on this setting and save changes. How to provide new URL for module? How to upload video file which larger than 256 MB? Why new versions of apps have incorrect layouts?